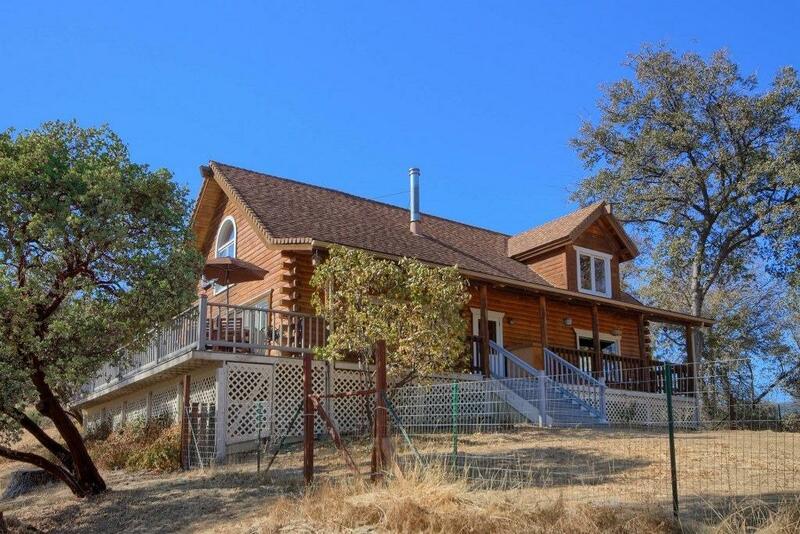 Built in 1993, this custom log home sits on 9.93+/- gorgeous acres. 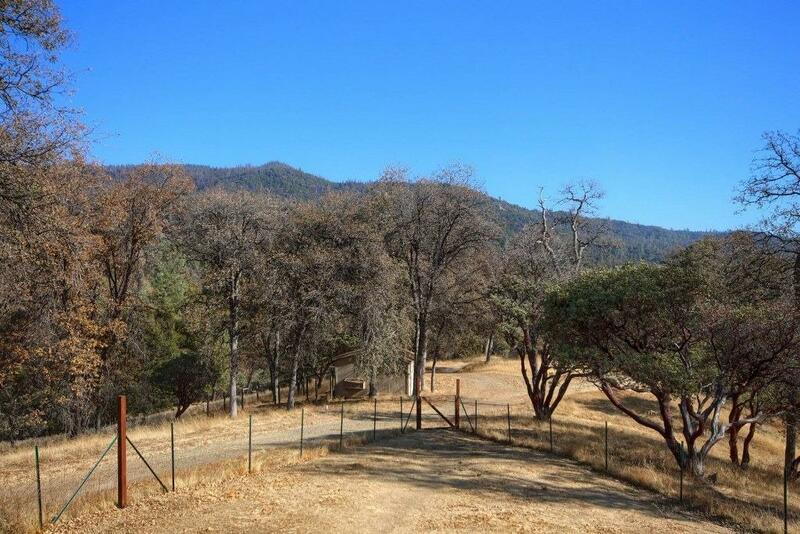 Enjoy privacy close to Oakhurst & Bass Lake! Room for your toys or an RV & loop driveway for easy turnarounds. 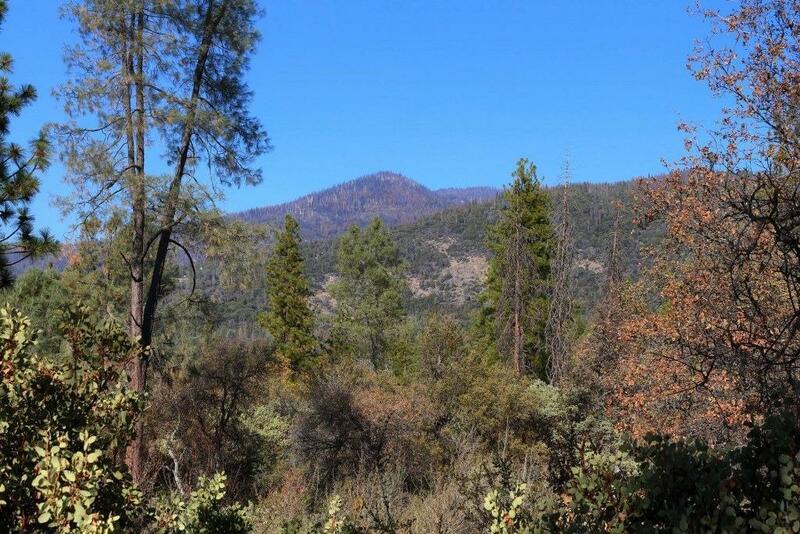 Enjoy rolling meadows & forest dotted w/manzanita, pine & oak. Room for horses too! There's a hen house & a large greenhouse. 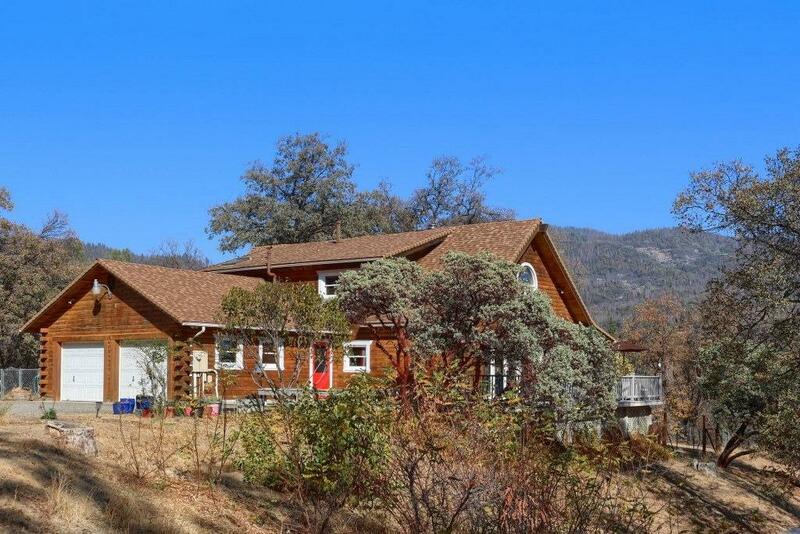 The house is perfect for dog owners, w/large fenced-in area & dog house, w/access to the wraparound deck. The bright interior feels warm from the pine, yet spacious w/soaring vaulted ceilings. Upstairs you'll enjoy fantastic views of the hills & meadows from the master BD. The spacious BA has two sinks & jetted tub. Open loft is also found upstairs. The kitchen w/its JennAir 5 burner stove top, dishwasher, microwave, trash compactor & center island open to living & dining areas. A 2-car garage, 2 BDs, walk-in closet, BA & walk-in pantry also located on the main level. There is new carpet throughout the home! Wrap around deck for entertaining. This home has a proven rental with AirBnb.